The Nightcruiser Party Bus Tours are famous for the ultimate 18th Birthday Party. • More Party time with us. We are popular with our 18th Birthday Party because we assist you with your all night Nightcruiser Party Bus Tour. We care and give you all the hints when you book or make enquiries. Please advise all your guests to bring photo ids as they will not get in to licensed premises without them. Many places now require 2 IDs. Under age person can not stay on the Bus and will have to make their own way home immediately they are discovered. You are already popular and have many friends. Let the Nightcruiser Crew make it easier for you to get them all together to help you celebrate! Surprise them! Invite them now on-line! Yes! Now that you have managed to book a Nightcruiser, time to boast about it and invite all your friends instantly free on-line. The Nightcruiser Crew know it is a thankless job to be appointed the organiser and having to deal with everybody. As a reward for your efforts the Nightcruiser Crew would like you to accept free travel with us. This discount offer is only valid for one organiser and applies to Party Bus Tour Bookings only. It will apply to the persons name on the booking only or their nominated representative that will be responsible for the tour. This offer is only authorised as you book and the deposit and full amount for the tour has been paid. This offer cannot be used in conjunction with any other offers or for less than a min 30 seater Nightcruisers and is subject to change at any time. On your birthday: count your candles, count your years, count your blessings! Your celebration, that will be remembered by your guests for years to come and it can take many forms with the Nightcruiser either a day tour or night tour with on board merriment and bring your own music via CDs or iPod that you remember from the past years. We’ll have your party singing and dancing in the aisles to music you remember. We suggest more suitable venues for your group than anyone else! – We book all the venues in advance so we don’t get turned away! Your celebration, that will be remembered by your guests for years to come and it can take many forms with the Nightcruiser either a day tour or night tour with on board merriment and your bring your own music that you remember from the past years. We’ll have your party singing and dancing in the aisles to music you remember. You are welcome to bring along your own CDs that you may have prepared for your 50th. Invite all your friends on board a Nightcruiser Fun Bus. You can plan the schedule and then send out your own invitations you have created on your computer. Nightcruisers that will seat up to 45+ teens with adult supervision and a wicket schedule, what else do you need? We will assist with the planning and make suggestions. 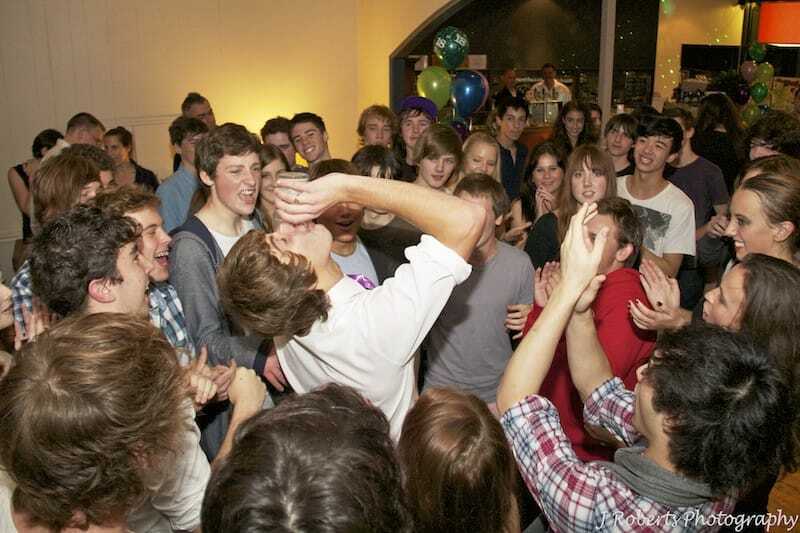 Organising a Teen Nightcruiser Fun Party Bus for Youth Groups or your own Party. Ideally suited for your under 18 friends who wish to get together for a birthday or just a great time out. We’ll be pumping your own iPod with our powerful system plus spin the disco party lights. This is designed as a special treat for the birthday kid and guests and not a Party with food and drink on board. Only Parents or Adults over 21 can book this Tour with the Nightcruiser Crew. At least 2 Adults over 21 must be on-board to supervise. Special terms and conditions must be agreed to which are automatically emailed out with your booking.